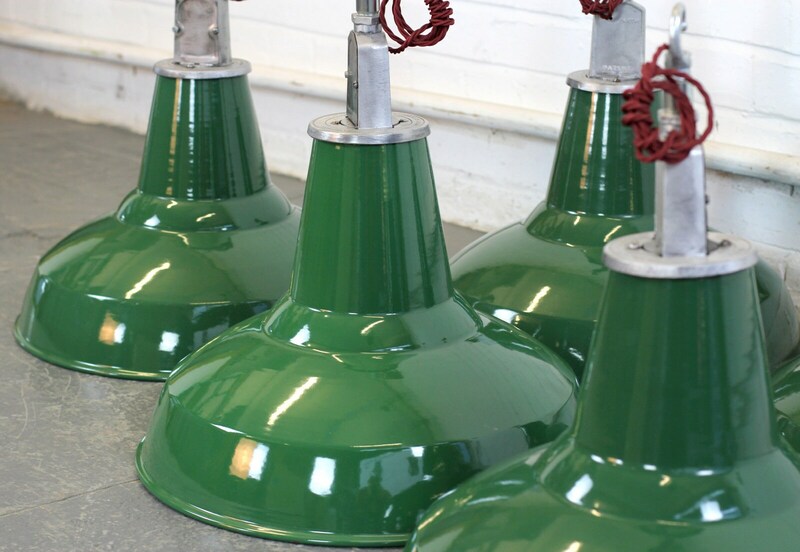 Thorlux was founded by Frederick William Thorpe in 1936 in Redditch, Worcestershire. 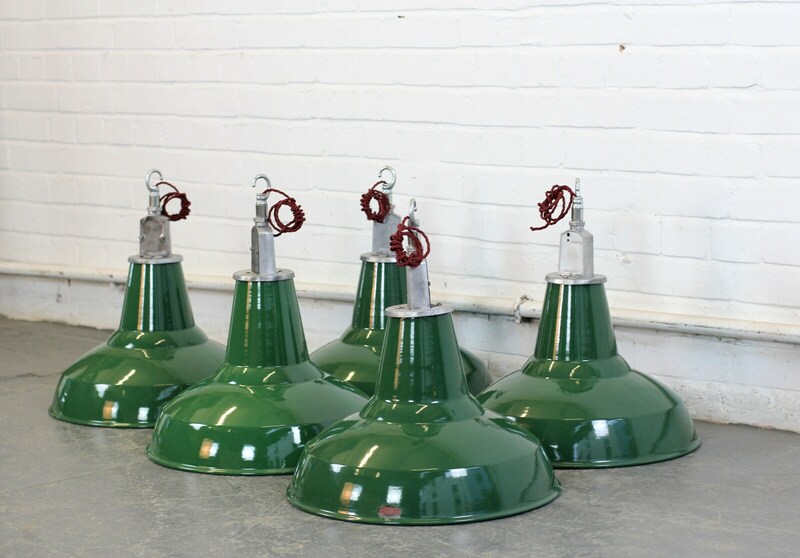 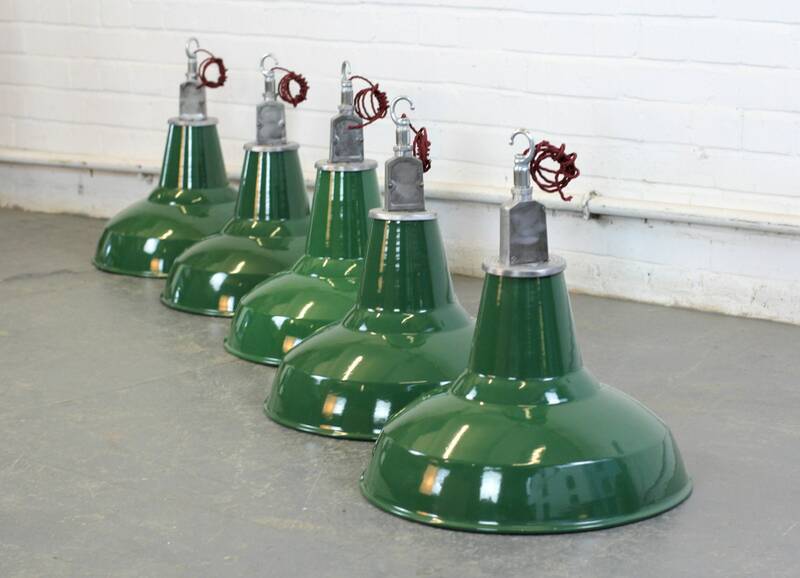 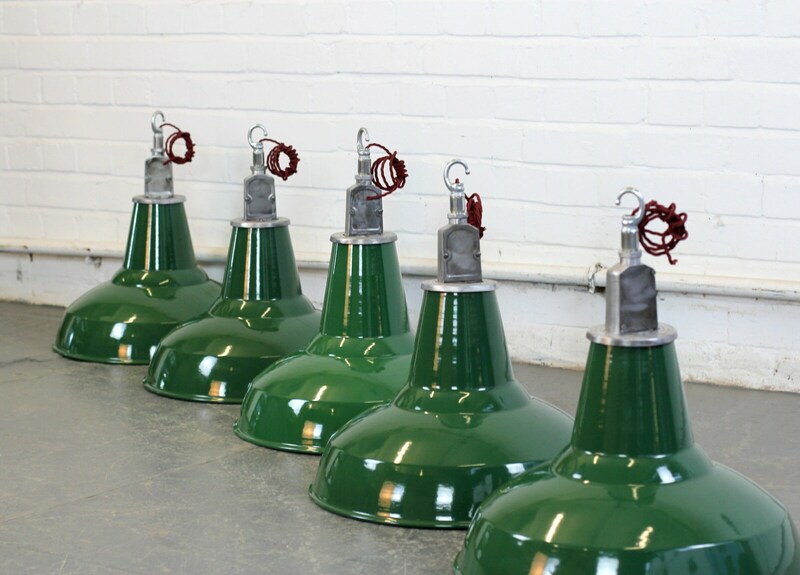 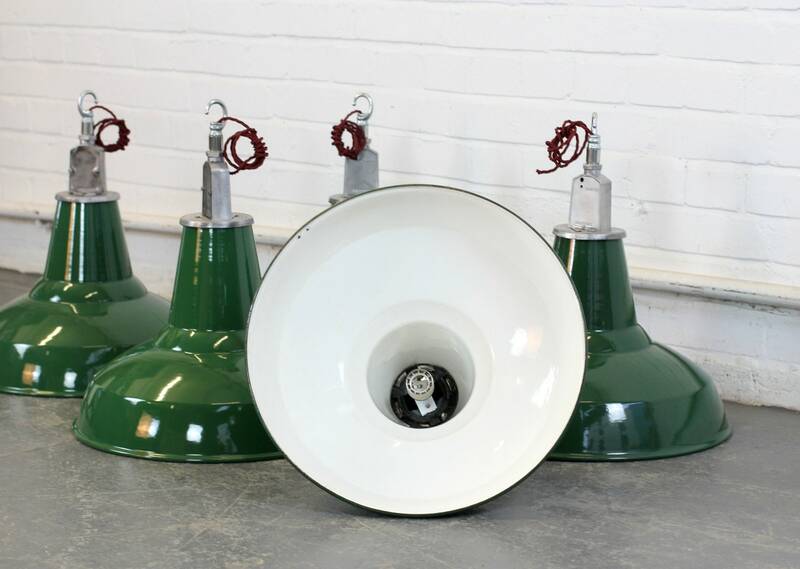 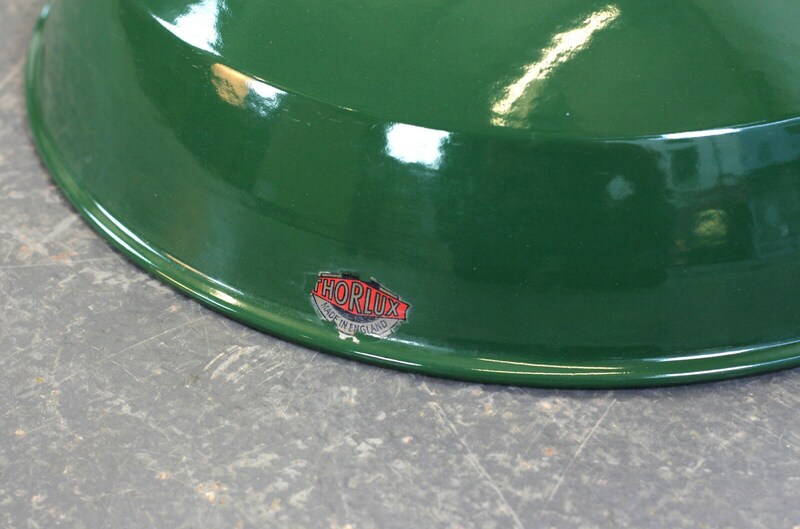 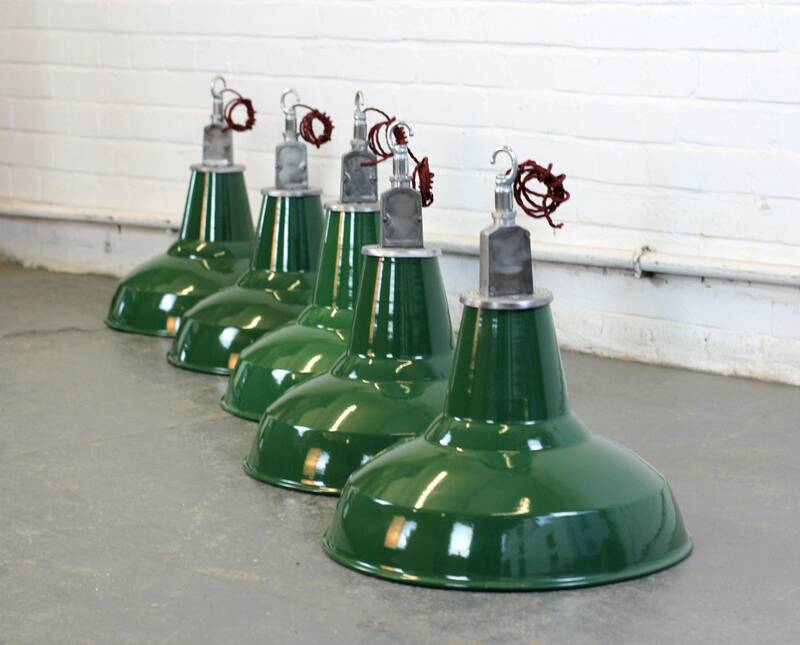 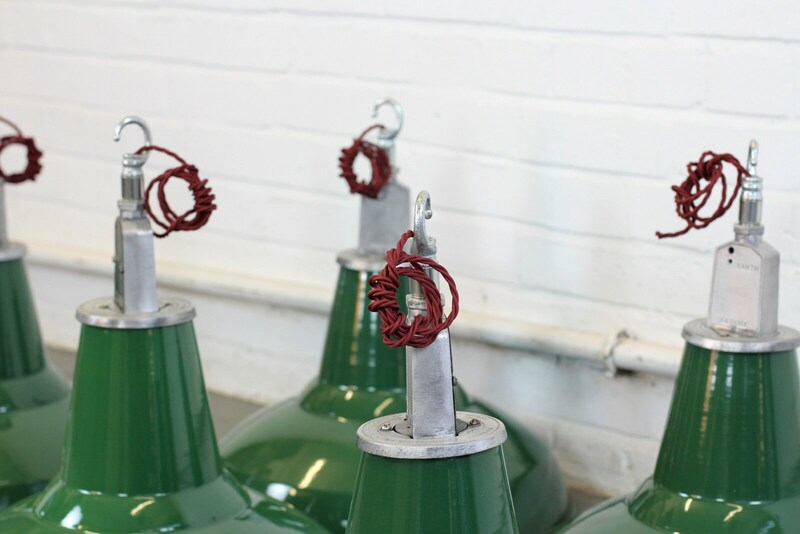 The company produced vitreous enamelled shades for lighting factories, workshops, mills and farm buildings during the progressive industrialisation of the 1930s through to the 1950s. 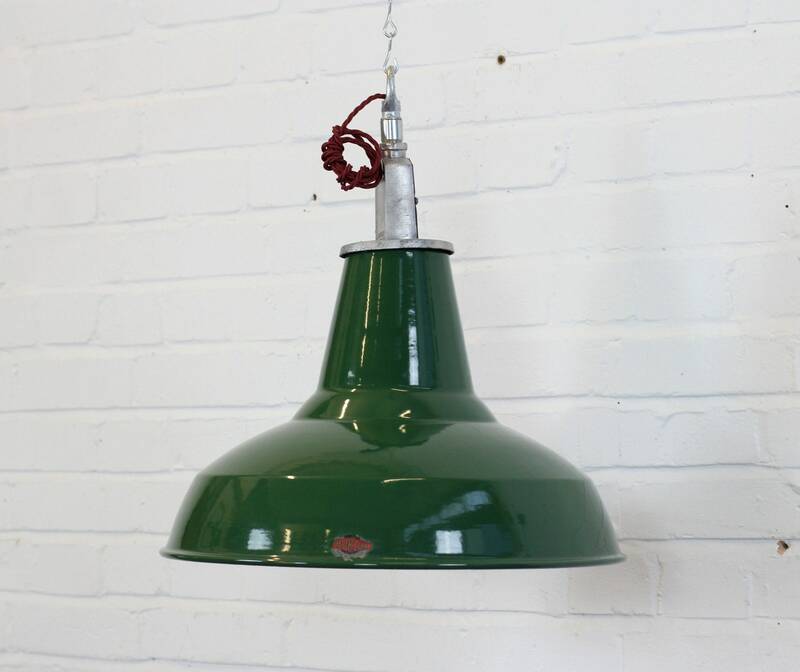 Fully re wired with modern electrical components, the shades will show signs of some minor cosmetic wear in the form of small rust spots and chips to the enamel.